Port Moresby, Papua New Guinea, April 17, 2012 – One Laptop per Child (OLPC) and the Bank of the South Pacific (BSP), the region’s leading bank, have announced an exciting strategic partnership to advance South Pacific education, kicking off with a donation of 1000 revolutionary ‘XO’ laptops to Pacific children. As its first act in the new role of Lead Private Sector Partner for OLPC Oceania, BSP will donate the educational computers to children in three OLPC project schools in the Solomon Islands and Fiji. In coming months, BSP plans to provide more support for children in Papua New Guinea as it spearheads private sector support for OLPC. BSP Group Chief Executive Officer Mr Ian B Clyne said the new partnership was a perfect fit with the Bank’s corporate social responsibility goals and would broaden the reach and impact of the BSP Children’s Foundation, complementing programs such as BSP’s widely-praised BSP School Kriket program. The partnership continues BSP’s commitment to Pacific development and follows a recent Fiji$100,000 donation to emergency relief efforts following the devastating floods in Fiji. 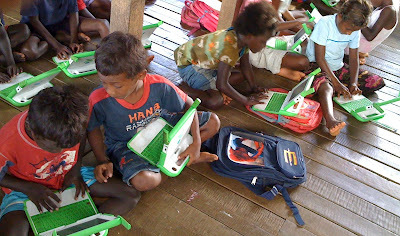 As Lead Private Sector Partner, BSP will join the regional initiative OLPC Oceania, which is a coalition of national governments, educators, donor agencies, academia, the private sector, civil society and community organizers, all working to assist Pacific Island countries to establish the OLPC concept in schools. Mr Hutak said BSP will bring much- needed private sector expertise and know-how to the Pacific initiative. Currently there are OLPC projects running in 10 Pacific countries, with approximately 10,000 laptops being used by children in 50 schools. 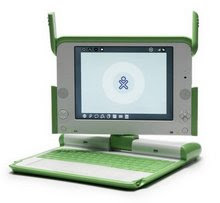 Across the globe OLPC has distributed more than 2.4 million laptops to poor children in 40 countries. Some 200 laptops donated by BSP’s Children's Foundation will be deployed by the Secretariat of the Pacific Community in the Solomon Islands in remote Marovo Lagoon, the site of the first Pacific OLPC project in 2008. The remaining 800 laptops will be distributed in two demonstration schools in Suva, Fiji, in partnership with Government of Fiji and the University of the South Pacific. The schools will be where Fiji's teacher and technical training will occur. BSP plans to promote the establishment of similar demonstration schools in Port Moresby and will work with the PNG Govt, the World Bank and other partners to scale up OLPC in PNG. BSP has also agreed to facilitate the collection of public donations to OLPC Oceania projects both online and through its branch network. Read the Media Release for more info and media contacts.